We are getting incredibly lucky for this first weekend of April. While the weekend will be bookended by rain, the middle will feature sunshine and mild springtime temperatures. As of this writing, the radar is still pretty blank, but light to moderate rain is knocking on our door. Rain arrives Friday morning, becoming steadier and a bit heavier from Friday afternoon through Friday evening. We're not talking about flood-prone deluges here, just some soggy weather. Enough to reduce visibility and make road surfaces slick. Rainfall totals will probably average a half-inch across the Garden State. In addition to the wet weather, things could get a bit wintry in northwestern New Jersey. Temperatures are holding near the freezing mark in Sussex, Warren, Morris, and western Passaic counties — cold enough to sustain a brief period of light snow Friday morning. No accumulation is expected, although there might be some slippery spots. As temperatures rise by midday Friday, the threat for snow and ice will turn to just plain rain. So it's going to be a damp and dreary and uncomfortably cool day. An easterly wind will prevent temperatures from going very far, topping out in the mid to upper 40s across most of the state. 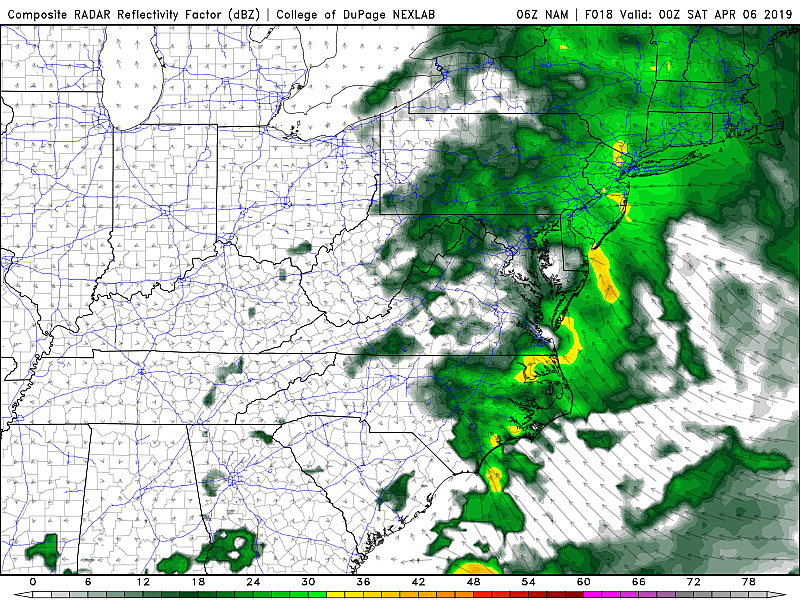 Friday night still looks wet, although steady rain should transition to sporadic showers around Midnight (give or take). Overnight temps will hold steady (or may even rise slowly) through the 40s. We're starting to get a better handle on Monday's dose of wet weather. Once again, periods of wet weather will push through the state throughout the day. Unlike Friday, however, the wind will not come off the chilly ocean, so temperatures will not be stuck in the 40s. 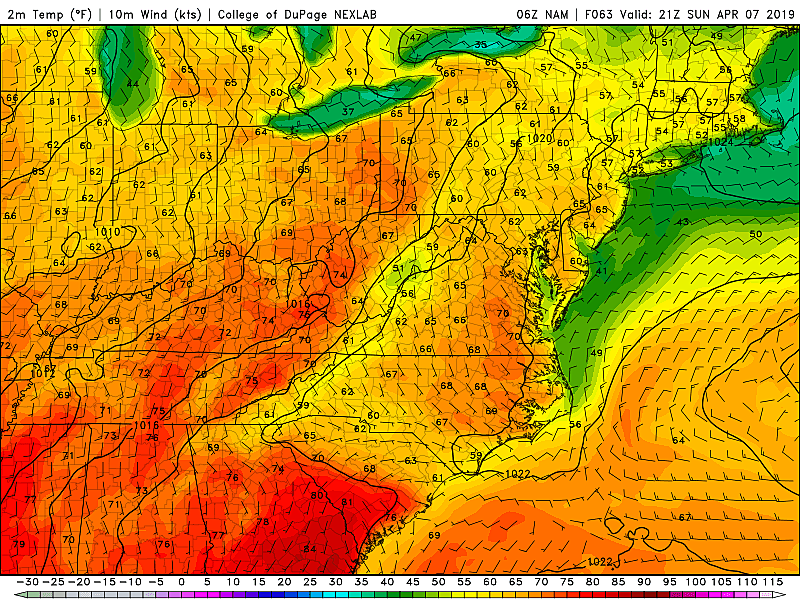 The latest guidance shows temperatures in the 50s for northern and coastal New Jersey, with 60s central and south. The longer-range forecast shows dry weather and mild temperatures visiting through the middle of next week. 70s and clouds on Tuesday. 60s and sunshine on Wednesday. The next storm system downstream looks to arrive late-week, Thursday into Friday. Be safe in Friday's rain, and have a wonderful weekend!